Great shoe for Tango. 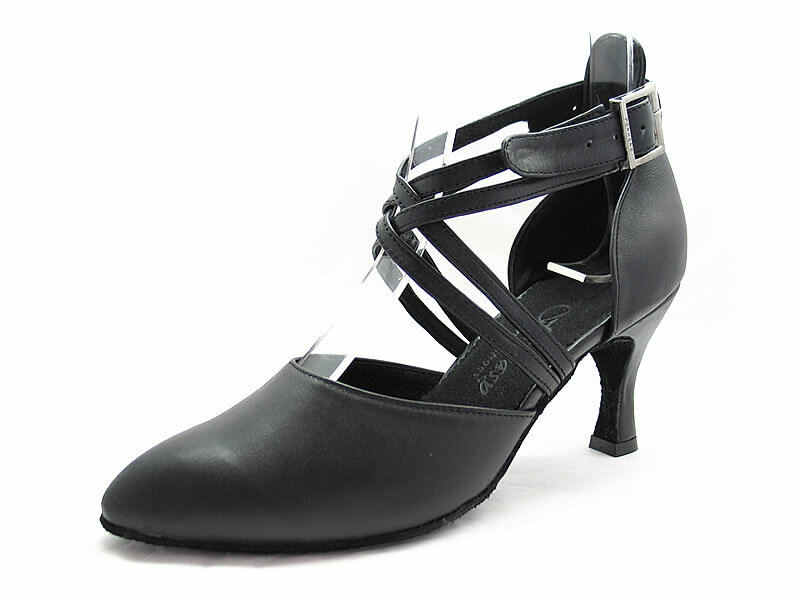 Closed toe with interlocking ankle strap and elegant buckle for just the right fit. Picture shows in black lamb skin(K15) with 3"sf heel.